Hi Friends! 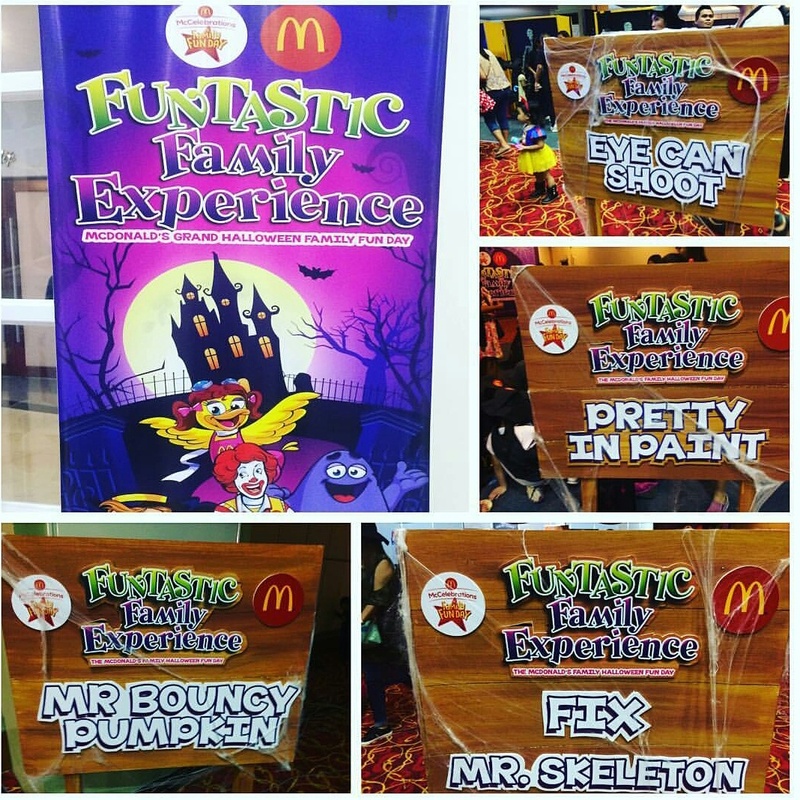 Adi and I got invited to one of the most sought after kiddie party in Cebu this Halloween Season, the McDonald’s Grand Halloween Family Fun Day. It was their second time to hold it here in Cebu, we were also invited the first time but were not able to make it then. I was excited at the same I was worried that Adi won’t want to come. I have been very cautious about attending Halloween Kiddie parties in the past since Adi had experienced trauma regarding the scary side of the celebration. He got very much scared when he saw halloween costumes ramping around malls that he threw tantrums everytime we went inside the malls. It was desperate time for us. So much effort was gone into this that it deserves another blogpost. 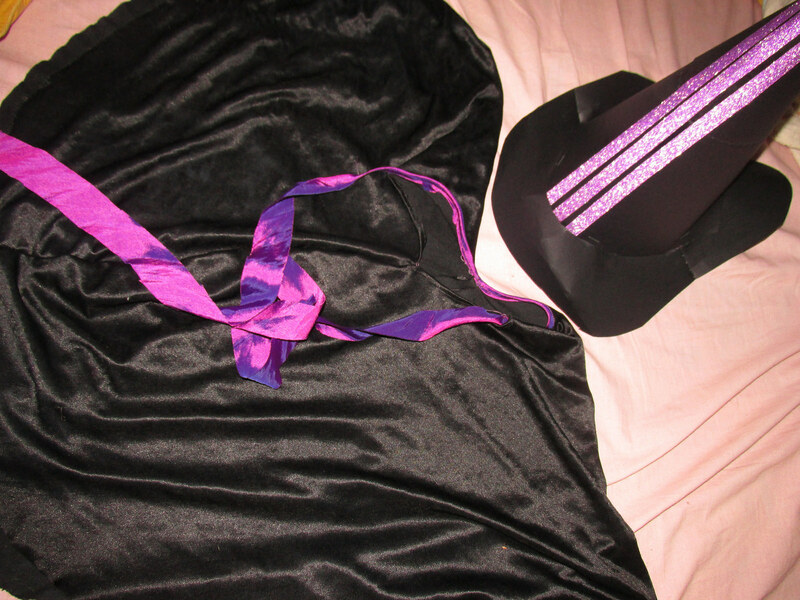  I will talk about how I diy-ed this costume with the help of my mom in another post. So anyways, the call time was 8 am, and me having to take care of a 9 month old baby, I knew I had to wake up early to get my game going and so I asked the help of my mom and the husband. I already prepared the things I would need to cover the event the night before as well as the things we would bring there. 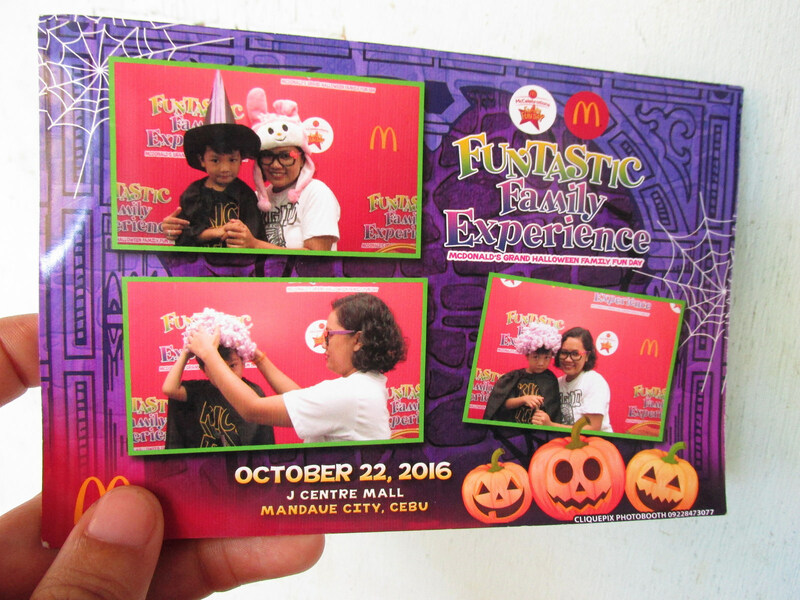 When we arrived, the venue was already filled with moms, excited families like us and kids dressed in beautiful halloween costumes. You can really feel their excitement. Just one of the families taking their poses on the Photobooth. Payment was 20 pesos for each photo. And so we lined up hurriedly, and striked our own poses. I picked the photobooth from outside as it’s not that crowded yet and to be honest, I wanted Adi not to panic when we finally go inside the convention hall. Lol! Here’s the stage. The screens were huge and the place has enough space for everyone to sit and watch the show. I love that everyone can get to enjoy spending time with their families through this kinds of event and also for the kids to interact with other children through play. Every kid who signed up got to enjoy their Mcdo 1 pc Chicken McDo Meal. Kids who joined the event also get to have free Halloween Hats, cape and Halloween pumpkins to complete their Halloween look! But of course, we didn’t arrive home empty handed. 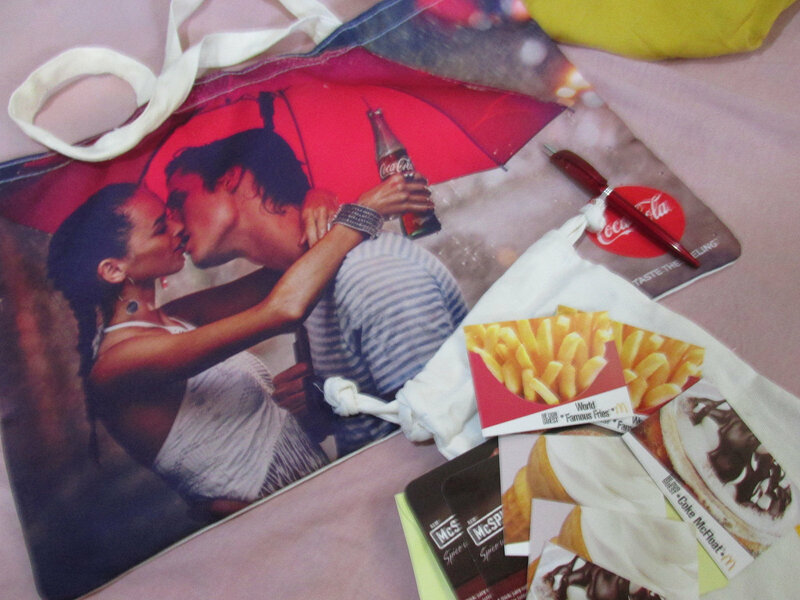 Coca-Cola Philippines gave this awesome tote bag that came with Coca Cola products in it. Thanks Coca Cola Ph! And also Adi got this cute toy from their Happy Meal pack, it was their hotwheels toy and he really enjoyed playing with it afterwards. 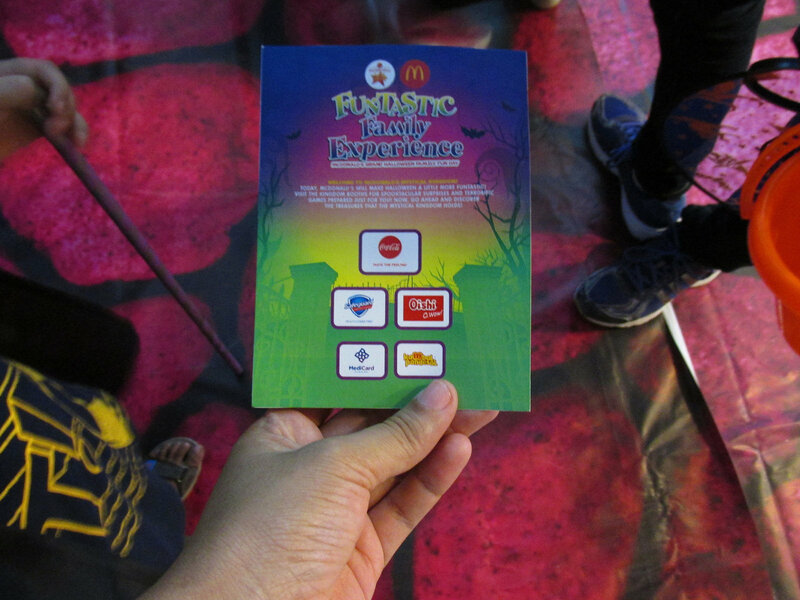 Thank you McDonald’s for the awesome party. 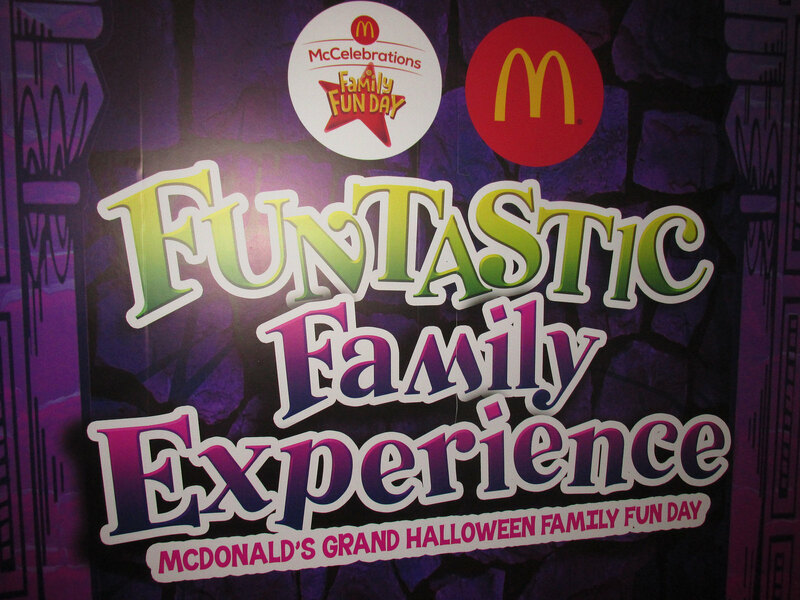 We surely had a great time and we would surely join next year with the whole family. This year also marks the first time for the event to happen in Manila this coming October 29th at the World Trade Event Center in Manila. So moms from Manila get your halloween costumes ready. Thank you for Reading! I hoped you enjoyed as much as we did. Till my next post, guys!